Lazersonic & Zak Frost are two London-based producers with a strong electronic heritage. Zak Frost, synonymous with the infamous Nodisko parties, has been a key figure on the European DJ circuit for the last decade. Lazersonic is rapidly establishing himself as one of the hottest new producers on the block. Their first collaboration “Aquaplane” is a very smooth and extremely atmospherical tune, released by Turbo Recordings in 2009. Throwing in elements of dub, spaced-out disco and psychedelia, this track is a must-buy, especially the Williams Remix, that you can get in digital format on Beatport. 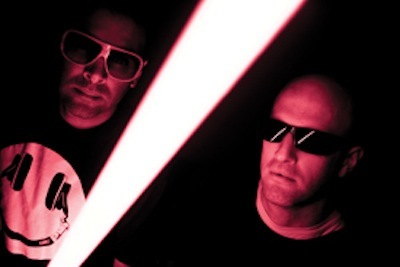 Anticipating their debut album, Adventures In Stereo, coming in 2010, Lazersonic & Zak Frost are lining up plenty of new productions, remixes and gigs so you’ll be hearing a lot more of their material in the next few months. Find out more and listen to their music on MySpace. awesome track- aquaplane was THE tune of last year. can’t wait for the album!